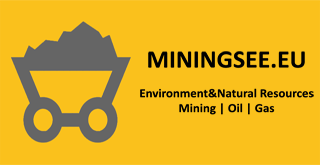 Ministry of mining indicates that South Serbia is rich in non- metals which can represent a development opportunity for the region. Financial turnover of non-metals in the world is now four times greater than financial turnover of metals, said the secretary of the relevant board of mining and non-metal industry in Regional Chamber of Commerce in Nis Slobodan Milosavljevic, speaking about development opportunities for this part of Serbia. Area of Aleksinac is rich in oil shale, Zaplanje in calcite, Stara Planina in quality granite, Kopaonik in basalt, there is phosphate in the area of Bosilegrad, Milosavljevic said, commenting on the announcement that the priority of Serbia in the future will be the oil shale exploitation in the area of Aleksinac by issuing concessions, what also said the Minister Zorana Mihajlovic. “Foreigners are cautious, they first want the research rights in order to be sure in the reserves volume, the assessments are not sufficient”, said Milosavljevic speaking on oil shale reserves in the area of Aleksinac. He does personally declare on estimates that oil shale reserves are about two billion tons of which could provide about 180 million tons of oil. Serbia processes and spends, according to previously published data, about four million tons of oil annually. “As for oil shale research, the first dating from several decades ago, then the oil was cheap and oil shale exploitation into oil was illusory”, he recalled. Now, when the oil price increases, it is certain that many are interested, but they are still in the area of research rights”, says Milosavljevic. “If you ask me, whether there will be exploitation, it will be. When, soon, but soon does not mean fast, oil shale exploitation is not naive thing”, said Milosavljevic, who has extensive business experience. He points out that the time of positive effects of oil shale exploitation comes and that this exploitation requires the fulfillment of all requirements and environmental standards. Milosavljevic points out that what is the chance of Aleksinac area with the oil shale; it is for Zaplanje with the calcite exploitation. The previous research has shown that only in one wire in the area of Gadzin Han there are reserves of half a billion of U.S. dollars, said Milosavljevic citing the research results that also prof. Dr. Sinisa Milosevic has worked for the Institute of non-metals. Also Italians recognize the quality of our granite, as Milosavljevic notes and points out once more time that non-metals are the chance in the future and that for the 100 years the metal exploitation will be unprofitable. “Do not ask me how the electricity can pass through non-metal, once we were not able to think that the ceramic blade could be better than one of steel”, said Milosavljevic. Serbia has the staff, but has no means to exploit, and sale of the exploitation rights should postpone until the moment of exact defining what we sell, says Milosavljevic. In order to begin the exploitation, it should provide infrastructure, offer foreigners to perform processing here, and not only to export raw materials, he added.